CAMPING is one of Finlay Higgs’ favourite outdoor activities and a happy escape for the five-year-old, who continues to fight a rare form of childhood cancer. At three years old, Finlay was diagnosed with stage four high risk hepatoblastoma, a rare type of liver cancer, before undergoing multiple surgeries and treatments. While undergoing treatment the Joondalup toddler wasn’t able to have a normal childhood and enjoy the things he loves like camping, so the Higgs’ family created a fundraising initiative in honour of children like Finlay. 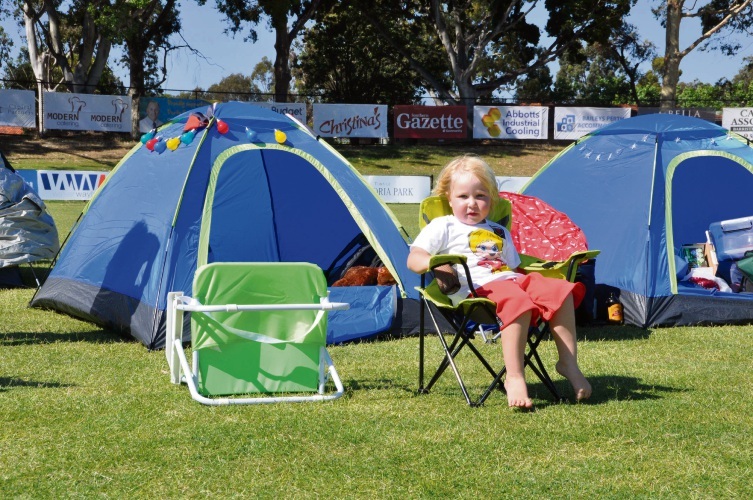 This month, Finlay and his family invite the Perth community to attend their second annual community campout at Lathlain Park to raise funds for critical research into childhood cancers. Held at the Perth Football Club’s home ground from October 27, the family-friendly event will include a Perth Demons football clinic, storytelling around the campfire, sing-along sessions, face painting, live music and a barbecue. All proceeds from the two-day fundraiser go to the Children’s Leukaemia & Cancer Research Foundation’s Million Dollar Project for Telethon. Finlay’s mother Katey Higgs said last year’s campout was a huge success and since then, Finlay had made promising progress. “Since the last camp out Finlay has started kindy and is really enjoying making lots of new friends,” she said. “He has remained disease-free and is getting stronger and stronger. Mrs Higgs said the rareness of hepatoblastoma meant that much more funding for research was needed to improve the current survival rate, which varied from 20 per cent to 70 per cent, dependent on how advanced the cancer was. “The more they discover and learn about childhood cancers, the better they will be able to treat all children,” she said. “Without donations, there is no research.